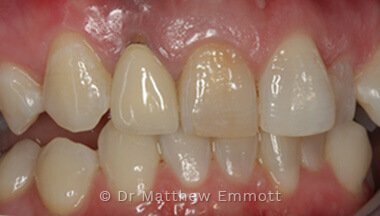 When a tooth is lost, the surrounding bone shrinks, or resorbs, as a natural physiological response. 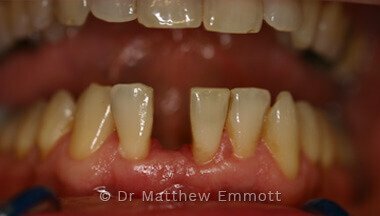 Over a period of time, the jawbone associated with the missing teeth atrophies or is reabsorbed. 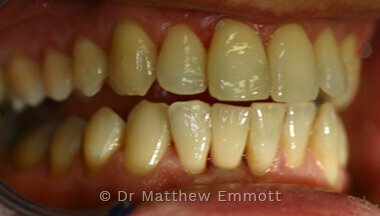 This often leaves a condition in which there is poor quality and quantity of bone suitable for placement of dental implants. 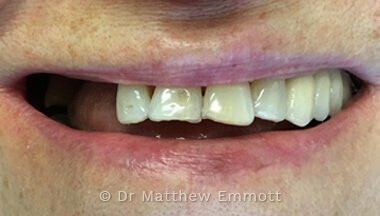 In these situations, most patients are not candidates for placement of dental implants without bone grafting. 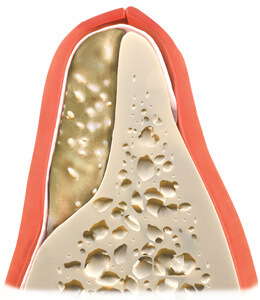 Advances in dentistry mean that today we have the ability to grow bone where needed. 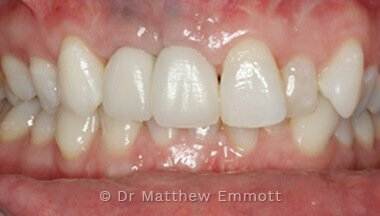 This not only gives us the opportunity to place dental implants with an appropriate length and width, it also gives us a chance to restore functionality and aesthetic appearance. 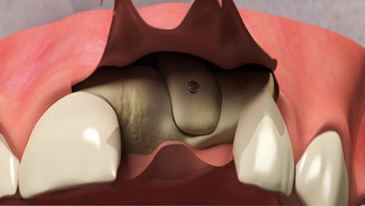 Bone grafting can repair implant sites with inadequate bone structure due to previous extractions, gum disease or injuries. 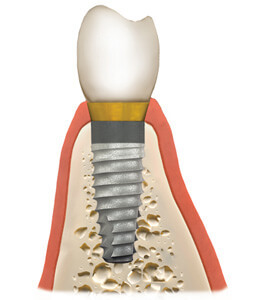 The bone is obtained from elsewhere in your jaw and fixed to the defect site with a small screw. 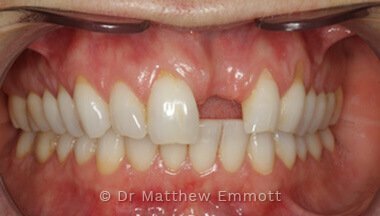 This is allowed to heal for three to five months. 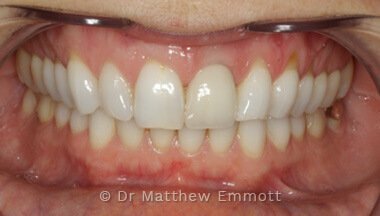 During this time the block of bone fuses with the underlying bone, rebuilding the jaw width and height so allowing subsequent implant placement. 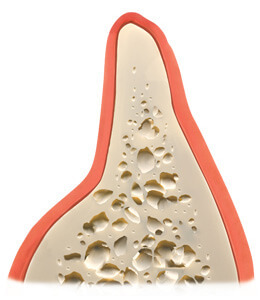 The video shows a block of bone taken from an adjacent area (donor site) and placed in the deficient site that needs more bone for implant placement. The bone is screwed into place. The screws will be removed eventually. The donor site will eventually fill in with bone again. 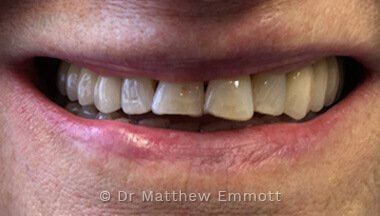 Here are some of the before and afters of our real patients who have had dental implant treatment. 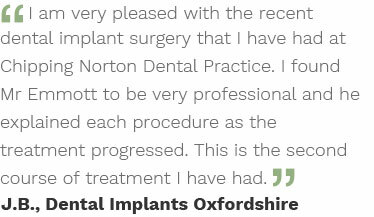 Copyright © Chipping Norton Dental Implant Centre . All rights reserved.